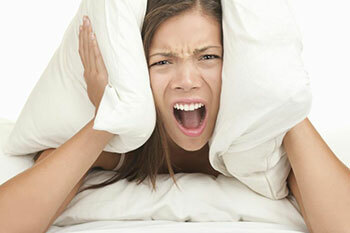 Is the noise from your roller shutters driving you crazy? We are often approached by clients who are looking for a quiet roller shutter for their home / business / organisation, especially when loud noises affect the activity on site - such as a busy office or hospital for example. How noisy is your roller shutter in comparison to others on the market and how loud is too loud? There are many reasons as to why roller shutters can be noisy whilst being operated and they can become noisier as they age due to the fact they require some maintenance and upkeep to run efficiently but can be (and are) very much overlooked. Motor parts require lubrication in order to work properly. When the gears, wheels and other moving metal parts are not well-lubricated, they tend to become noisy. Lubrication not only repairs the noise, it also makes the motor work more efficiently. Motorized roller shutters also tend to get noisy when parts are loose, not in their proper locations or are corroded. Keep in mind that Roller shutters typically are constructed from roll-formed steel ‘slats’ which roll onto each other as the door opens. This produces a lot of metal to metal noise. Even the guides are typically bare metal, and the curtain sliding down in them produces a loud screeching noise, the noise can also be caused by vibration of metal against metal of the roller shutter parts or loose rails. With older roller shutters, they can bring about further issues because over time, the slats will stretch and cause the door to sag or ’corkscrew’ as it rolls up. This in turn places additional load on the motor and guides, exacerbating the noise. Larger doors will expand with direct heat, causing binding and additional friction as the door operates and this often translates to loud screeching as the door opens. The Compact Sectional Door is a high quality alternative to standard Roller Shutters and have a number of benefits, one of them being their quiet operation. Consider this; we recently carried out a noise assessment here onsite and found that a standard roller shutter screamed in at 77dB* whilst our Compact Sectional Door whispered in at 52dB. *The roller shutter which we tested onsite was relatively new (roughly a year old) and older roller shutters tend to be noisier if they are not well maintained. If you test some older roller shutters, you may find that they can screech louder - at 85dB for example. "This is significant when you consider that a conversation in restaurant, office, background music, air conditioning unit at 100 feet can be 60db which is half as loud as 70dB." Remax Director. Then a Compact Sectional Door could be a far better solution. Download our eBook: The Benefits of Compact Sectional Door. Breathing is registered at 10 decibels. Garbage disposal / food blender or drilling machine is anywhere between 80 to 85dB (twice as loud as 70dB and possible hearing damage with 8 hours exposure). Boeing 737 at 6080ft. before landing noise registered at 97dB. Motorcycle at 25ft registered at 90dB is four times as loud as 70dB. A thunderclap / chain saw / oxygen torch is registered at 120dB. 32 times as loud as 70dB. To understand how some common noises compare with changes in sound levels (decibels) and the predicted apparent change in loudness refer to the table below. So what can I do to improve it? Check your guides for damage. Even a small dent in the guide can create a pinch point for the door travel, adding load and noise. Some (not all) shutters will respond to some lubrication of the guides to reduce the metal to metal wear and tear and noise. We recommend you check with your roller shutter service technician on this one, before applying. Get the spring tension checked on the door. 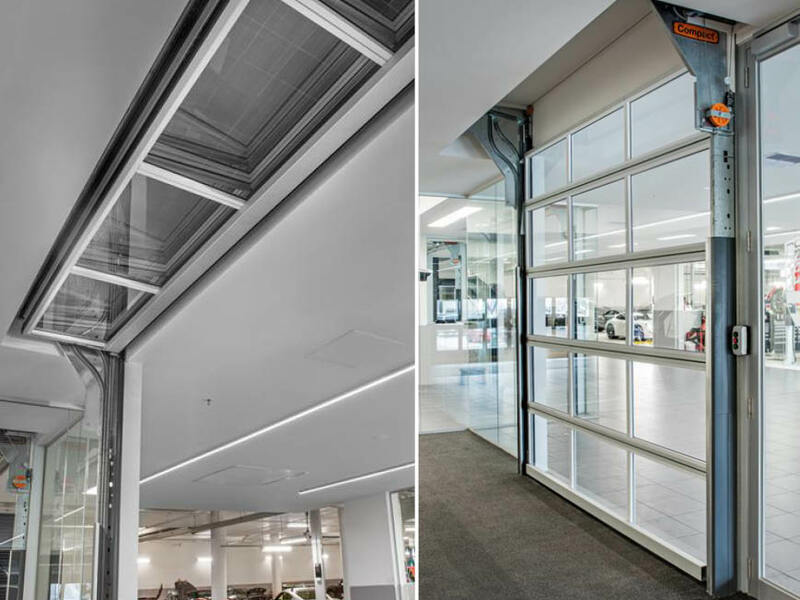 An under-tensioned or out of balance door will operate under substantial load and generate noise from the guides and motor. Not to mention dangerous to operate. Check for damaged slats. Sometimes the door may have been hit and bent in the past and has not been properly straightened out, causing additional friction and noise. Damaged slats can be easily replaced, adding new life to an old door. 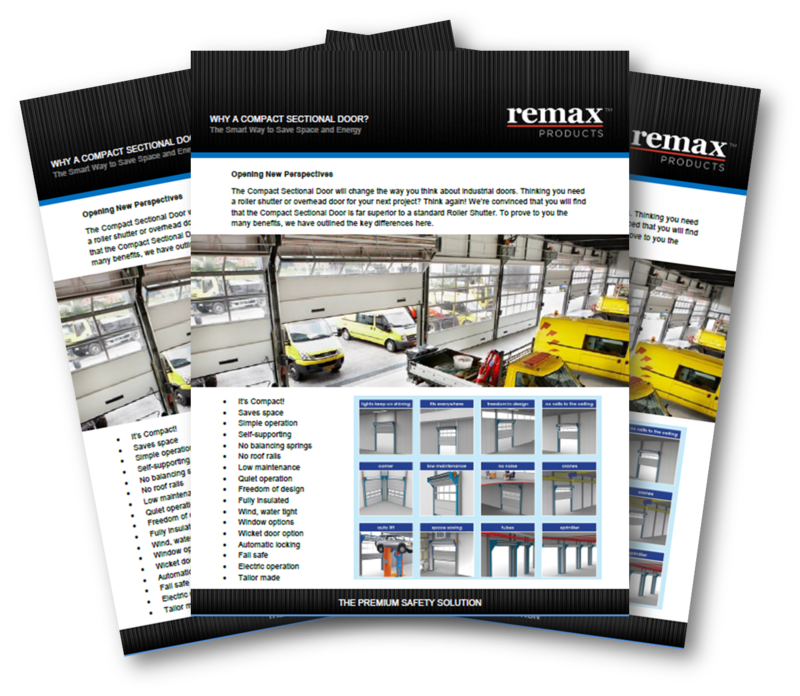 Talk to us on 1800 010 221 (or email info@remaxproducts.com.au) or your roller shutter specialist for a quotation. The Compact Sectional Door folds up above the door opening so there is plenty of space for lighting and a sprinkler system. The insulated door blade means that energy loss is limited. It also fulfils one of the most important requirements – smooth operation. The panels fold up quietly and smoothly: the panels fold without noise, the electric motor is low noise and when the door closes the panels glide shut quietly using gravity. If you have many doors on site or you need a quiet site, or you may be meeting with clients often and can no longer handle the screeching roller shutter downstairs; the Compact folding door is often used as a replacement for roller shutter doors. This folding door is self-supporting with its side rails, so nothing more is needed. Since the Compact door folds up above the door opening, it therefore does not require a steel structure on the ceiling or above the access. No balance springs are needed, the door blade is moved up by an electric motor and when closing, gravity plays its part. The advantage of this is that there are lower maintenance costs because there is simply less to maintain. The quiet and gradual movement uses little energy and this means a longer lifespan and lower maintenance costs. Are concerned about noise at your office / home / site? Find out whether your lifestyle could be damaging your hearing with a test from 'Know Your Noise': Noise Risk Calculator. 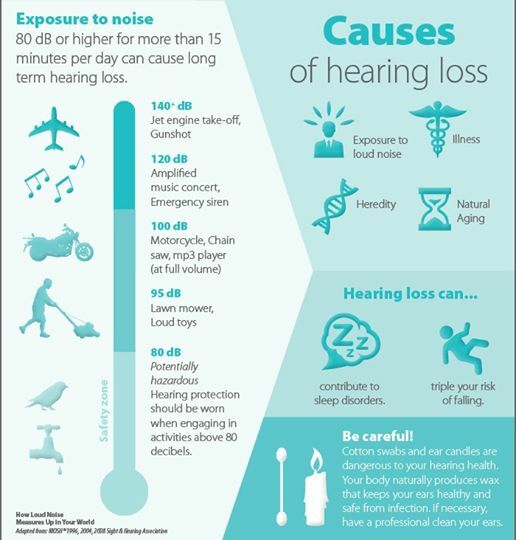 If you think you might have hearing loss, take their Hearing Test.